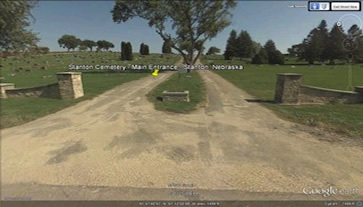 Stanton Cemetery is found North of Stanton, Nebraska on Oak Street/North Highway 57 on the north edge of Stanton. The Stanton Cemetery can accommodate ground burials, cremation burials and scattering of cremated remains. All events in the cemetery are required to be cleared through the Interim Sexton, Carol Glaser. Current rates can be found in the Rules, Regulations & Polices of the Stanton Cemetery.